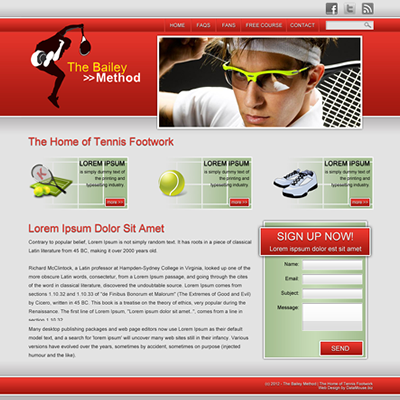 TheBaileyMethod is the website of tennis footwork expert David Bailey. 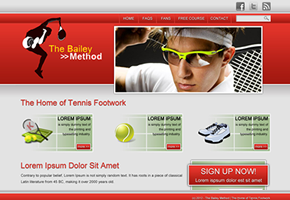 David says, “You’ll Astonish Your Friends and Rivals By Learning The Bailey Method and Yet You Don’t Risk a Cent by Learning It” – and needed a new design for the site to convey this ethos. Using WordPress as the content management system means that David has complete control over his web site. From adding pages and latest articles to photos and videos. The design also features a header sliding image area, and custom sign-up form to capture leads from visiting clients. In the background, the light-weight theme and optimised images make the site quick loading and easy to administer too.